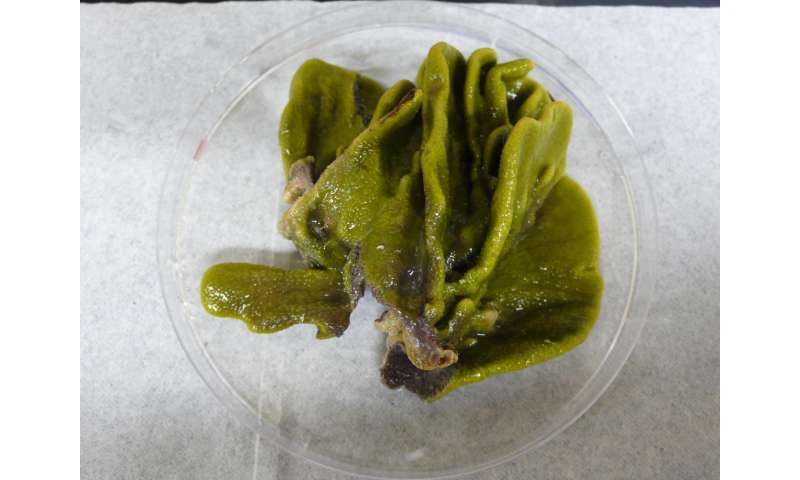 A Scripps Institution of Oceanography at the University of California San Diego-led research team discovered for the first time that a common marine sponge hosts bacteria that specialize in the production of toxic compounds nearly identical to man-made fire retardants. The new findings put the research team one step closer to unraveling the mystery of this powerful group of chemical compounds, known as polybrominated diphenyl ethers (PBDEs), in the marine environment. PBDEs are a subgroup of brominated flame retardants that are combined into foam, textiles, and electronics to raise the temperature at which the products will burn. These man-made industrial chemicals are powerful endocrine disruptors that mimic the activity of the human body's most active thyroid hormone. Vinayak Agarwal, a postdoctoral researcher at Scripps, picked up a cold case first started nearly 50 years ago by Scripps chemist John Faulkner, an early pioneer in the study of natural products from the sea, to continue the investigation into the source of these toxic compounds that are found in large quantities in the world's oceans. "For the first time we were able to conclusively show that genes and enzymes produced in bacteria from sponges are responsible for the production of these compounds toxic to humans," said Agarwal, co-first author of the paper along with Scripps PhD student Jessica Blanton. The study was part of the National Science Foundation (NSF)/ National Institute of Environmental Health Sciences (NIEHS)-funded Center for Oceans and Human Health research being conducted at Scripps. In 2014, Agarwal and colleagues at Scripps Oceanography were the first to discover that unrelated free-living marine bacteria produce these fire retardant compounds naturally, albeit in very small quantities. In this new study, the researchers employed two modern-day techniques—genome "mining" pioneered by Scripps marine chemist Brad Moore and an environmental DNA sequencing approach pioneered by Scripps biologist Eric Allen—to take the investigation a step further and identify the specific genes and enzymes involved in the overproduction of the toxic molecules in sponges. Marine sponges obtain food and oxygen by filtering seawater through the pores and channels in their bodies. This constant water flow means that these immobile animals host many bacteria, viruses, and fungi in their complex microbiomes. 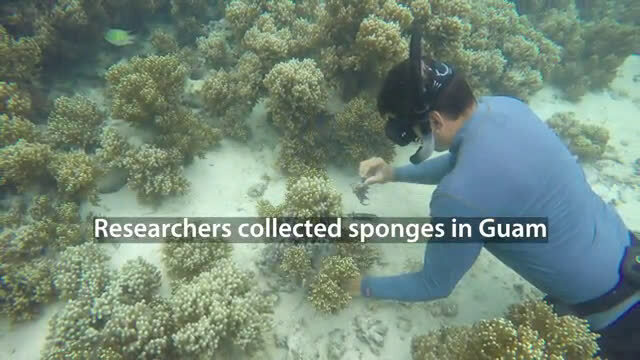 The research team collected 18 sponge samples for the study during two research expeditions to Guam. They then isolated the various components of this complex mixture of organisms from the sponge's tissues to identify the specific genes and enzymes that code for the production of PBDEs. "For many years scientists were finding clues that suggested nature was making these compounds," said Bradley Moore, a professor at the Scripps Center of Marine Biotechnology and Biomedicine and the Skaggs School of Pharmacy and Pharmaceutical Sciences at UC San Diego, and a senior author of the study. "Now that we understand how they are produced in the marine environment, we are exploring why they exist, and the human health concerns associated with them." Moore's genome "mining" approach along with Allen's metagenomic sequencing gives scientists a way to connect the natural chemicals produced by organisms back to the enzymes that construct them. The study, which appears on the cover of the May issue of the journal Nature Chemical Biology, was a unique collaboration among chemists and biologists at UC San Diego and elsewhere. "This study is a powerful combination of chemical, biological and environmental research," said Henrietta Edmonds of the NSF's Division of Ocean Sciences, which supported the research. "It has the potential to help us understand the production, fate and health consequences of natural and pollutant compounds in the marine environment." "We care about naturally produced PBDEs because they end up in the food chain," said Frederick Tyson, Ph.D., of the NIEHS, which helped to fund the research. "Preliminary data from this research team suggest that some naturally occurring PDBEs may be even more toxic than those that are man-made, so we need to develop a better understanding of these compounds." These ocean-dwelling microbes have been found in habitats as diverse as sea grasses, corals and whales. 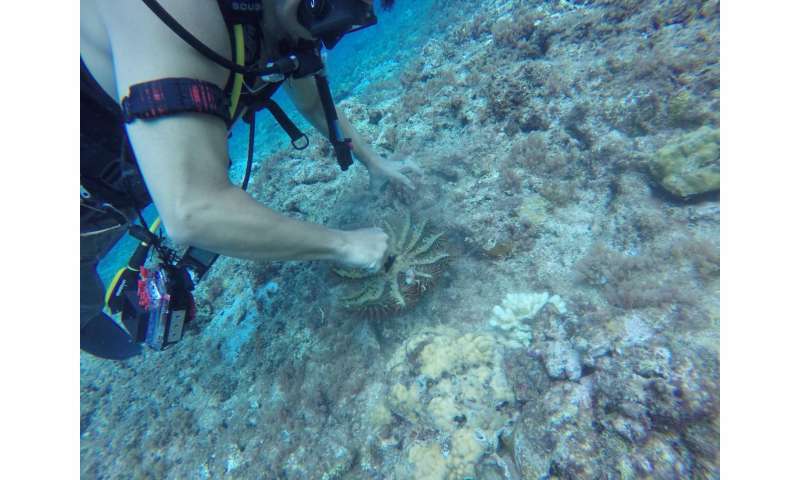 The next step of the investigation for the researchers is to mine the genes and enzymes in other marine hosts to find out what other organisms are making similar toxic compounds and why.